Colleagues at the IOE Confucius Institute wish you a prosperous Chinese New Year in 2014. 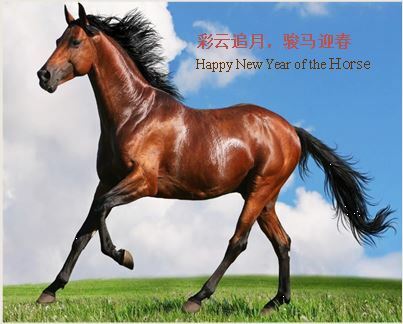 Click the link below to read about the characteristics for the horse in the Chinese Zodiac. Click the links below to read about some of the Chinese New Year celebrations this weekend.